Nancy Pelosi, whose Indian name is Batshit Crazy, is a genuine piece of American fakery. A tweeter by the name of Py-Yo commented that Pelosi was genuinely “upset” as she paid her last respects to George Bush the Elder in the Capitol Rotunda. Uh-huh. I want to play poker with Py-Yo. Batshit Crazy is the biggest fake to ever be elected to Congress, an institution known for fakes. I refuse to believe that Pelosi's grief was genuine. The old hag is on stage, acting 24/7. She is a total fake who hasn't had an honest moment in 7 decades. Have you ever seen her explaining her favorite "word?" THAT is classic Pelosi. You may have noticed that Bob Dole saluted his old friend with his left hand. That is because he gave his right arm saving the Italians from Mussolini and Hitler in Italy during WWII. 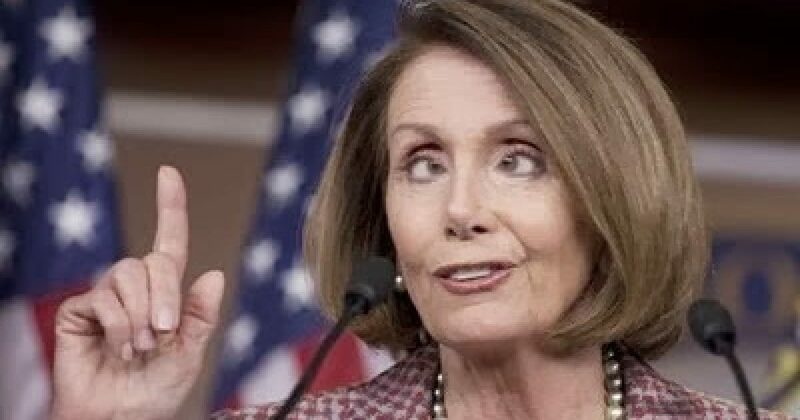 As for Py-Yo’s belief that Nancy Pelosi was genuinely grief-stricken in front of the world’s cameras in the Capitol Rotunda, remember that she has a careerlong history of despising Republicans. George H. W. Bush among them, and every minute of every day is a photo op for the manipulative old hosebag. Following is Batshit Crazy explaining to an adoring audience her favorite “word.” Not only is Pelosi a shameful fake, she is also transparently disingenuous and a terrible actress. This is actually funny. Listen closely to Pelosi’s cryptic message at the 1:04 mark, following “That’s the great mystery.” What the hell did she say? Known for speaking unintelligible gibberish, it may be only that. Or perhaps it is an important message for the world. Let us know what you think in the poll, below…. You are morons to believe anything I say. I’m batshit crazy, they say. I should have been spayed. The following video is even funnier than Pelosi explaining her favorite “word.” Watch as this reporter gives Batshit Crazy a little quiz on “The Word,” which she failed miserably.